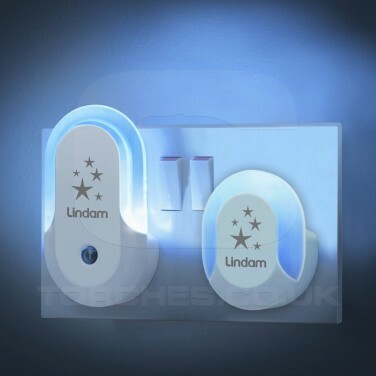 Cast a gentle reassuring blue glow into your child's room with an automatic dusk til dawn safety sensor light and a static plug in night light. 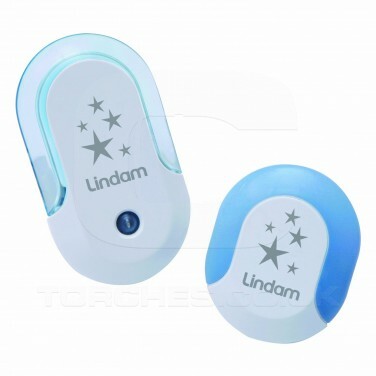 Each Lindam nursery nightlight set contains two plug in night lights one with a constant glow and one light sensor that are ideal for casting a reassuring glow into rooms or to light up hallways and landings for guidance at night. Ideal for homes with small children.